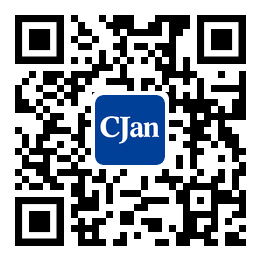 ﻿ The Characteristics of Silicon tubing - CJan Fluid Technology Co., Ltd.
At present, personnel of drug inspection divide the problems of material transfer in the tubing and container into "precipitate" and "dissolved matter"". The former refers to substances that migrate under normal conditions, while the latter requires excessive temperature or strong solvents ("the worst case"). The dissolution should include precipitation, and the term will be discussed further here. In these two cases, the hose pipe made of plasticizers is expected to produce more leaching than the hose pipe without additives. Organic silicone itself does not require plasticizers, stabilizers, UV absorbers, or antioxidants. Due to its influence on production methods, the content of heavy metals in organic silicon is very little, usually less than 10 ppm. Platinum complexes are used as catalysts for cross-linking reactions, but very little (10 ppm platinum); once cured, no quantifiable levels of platinum can be detected in the dissolution, even with the use of a powerful solvent. For organic silicon, the dissolution is mostly composed of short chain oligomers 6- (SiMe2O) n-, so that the acceptable residue can be determined by risk assessment. The recommended conditions allow the dissolution of the product to be separated from the product and minimize the swelling, which may affect the interpretation of the data due to the small solvent recovery and the dissolution of the substance into the swollen elastomer network. In the used of solvent, acetone obtained the highest concentration of dissolved matter (weight about 2%), whereas ethanol, water, or other aqueous medium obtained a lower concentration of the extract. For the purpose of this study, acetone may be an ideal solvent for "over research". The sample structure of silicone tubing is very important, because the thicker the sample thickness, the lower the dissolution rate. As expected, digestion decreased after storage or sterilization.